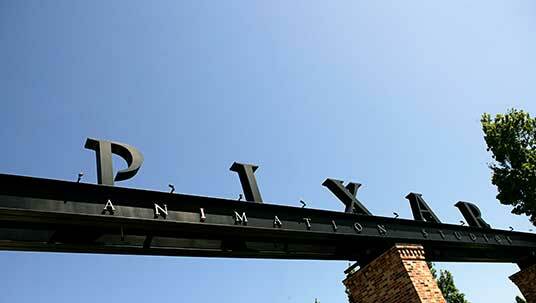 Pixar Animation Studios Pixar, located in Emeryville, California, was founded on February 3, 1986. It produced Toy Story (the first full-length animated feature produced entirely by computer) for Disney and in February 1997 signed a five picture deal with Disney, with Disney agreeing to purchase up to 5 percent of Pixar stock. Additional productions have included Toy Story 2, A Bug’s Life, Monsters, Inc., Finding Nemo, and The Incredibles. On January 24, 2006, Disney announced an agreement to purchase Pixar, and the purchase was completed on May 5, 2006. After the acquisition by Disney, Pixar continued its string of hits with such films as Cars, Ratatouille, Up, and Brave. Pixar opened a Canadian subsidiary, Pixar Canada, on April 20, 2010, where 100 artists will work on animating short films based on characters from the Pixar feature films. Pixar Canada closed in 2013.